So, you’ve built an amazing app. Maybe hundreds or thousands of users are downloading it daily. But even if your audience is falling all over you, that’s no guarantee those users will make you money. That’s where mobile app analytics comes in – learning exactly what users are doing inside your app, and using that behavioral intelligence for successful monetization. The right analytics solutions will allow you to capture necessary data against your most essential KPIs. But in a landscape that now offers hundreds of analytic platforms, how do you know what’s best and which ones will be best-suited to your specific business needs? We’re going to share the top 15 analytic platforms, how they compare, and the most important features to consider. We’ll also dive into analytic methods including what KPIs matter and ones that don’t. 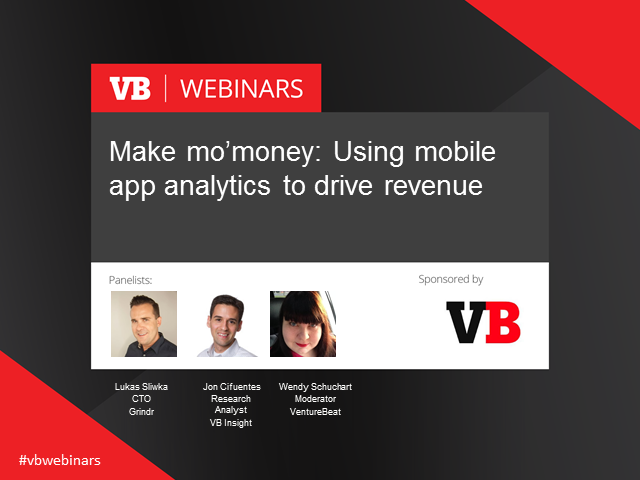 And how analytics will ladder up to the holy grail: monetization. Register today for this interactive discussion with today's top leaders!